Is it about time that we recognize that soft contact lens fitting takes skill and expertise. I trust that most people reading this perspective will understand and practice at this level already; but, the sale of soft contact lenses by novelty shops (such as for Halloween) and internet suppliers (which, although they legally can only supply to patients with a valid prescription, a recent student project suggests that 60% seek no proof of this) suggests otherwise, and many eye care practitioners treat soft contact lenses as a commodity that will just ‘work’ if you can get them onto the ocular surface. However, to ‘work,’ they need to fit appropriately, provide optimum vision, be virtually ‘invisible’ in terms of discomfort and cause no complications. Soft lens fitting expertise was ‘dumbed-down’ with the understandable reduction in soft contact lens SKUs to one or two for mass-produced contact lens designs. However, defining these lenses in terms of [central] base curve radius and diameter implies that these parameters are the principal drivers of lens fit. Research by Graeme Young, more recently with Lee Hall and myself, have shown that this is not the case; soft lens fit is predicted by more peripheral characteristics of the ocular surface, such as the horizontal visible iris diameter and the corneo-scleral junction (Hall et al., 2011, 2013). In addition, more complex elements of the lens shape profile (Wolffsohn et al., 2013) and ocular anatomy interaction must influence lens fit, as changing from one lens design to another does not have a systematic effect on lens fit even in the majority of patients (Wolffsohn et al., 2015). Eye care practitioners should also be able to offer optimum vision to all patients, not just to those whose eyes can achieve an acceptable fit with the current (limited) range of mass-produced contact lens designs. ‘Speciality’ soft contact lenses designed to fit eye shapes beyond the ‘norm’ should be in the remit of all contact lens fitting professionals. Being an emerging emmetropic presbyope, clear vision is becoming an ever more important necessity to me! In the Winter edition, José Manuel González-Méijome elegantly made the case for custom-made presbyopic contact lenses. Mass-produced presbyopic contact lenses work relatively well, but concentric simultaneous image designs are too similar in performance to adequately provide the vision necessary for the diverse lifestyle requirements of the presbyopic population (Sivardeen et al., 2016). Optimum vision also requires a stable tear film on the surface of the lens throughout the inter-blink interval, so next-generation lenses will adopt new surface technology to increase ‘lubricity’ or other lens surface characteristics (without compromising core characteristics influencing oxygen permeability and modulus) to support this requirement. This is also likely to impact contact lens comfort, both of which could help to reduce the issue of contact lens dropout (Best et al., 2013). Finally, we have very little evidence about how contact lens fit affects adverse events such as corneal infiltrative effects. We have developed more objective methods to assess soft contact lens fit (Belda-Salmeron et al., 2015) that, with the accessibility to mobile technology, will soon be accessible to practicing clinicians. Hence, in the future we can sensitively determine lens fit (more than the “good” or “adequate” seen in many record cards – Wolffsohn et al., 2009) to determine associations with adverse events, allowing us to better manage our patients. Bringing expertise back into soft lens fitting across the sector will enhance patient lives and provide a stronger contact lens business model for practitioners in the future. Belda-Salmerón L, Drew T, Hall L, Wolffsohn JS. (2015) Objective analysis of contact lens fit. 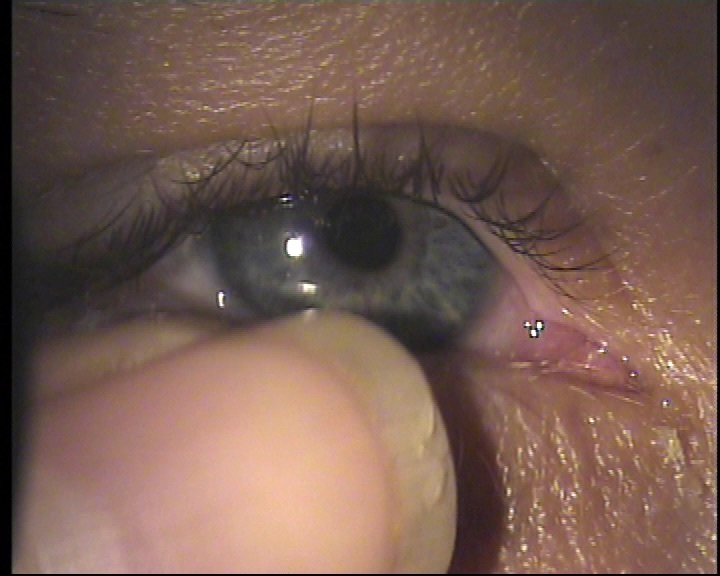 Contact Lens and Anterior Eye. 38, 163-167. Best,N Drury,L Wolffsohn,JS (2013) Predicting success with silicone-hydrogel contact lenses in new wearers. Contact Lens and Anterior Eye. 36, 232-237. Hall,L Young,G Wolffsohn,J Riley,C (2011) The influence of corneo-scleral topography on soft contact lens fit. Investigative Ophthalmology and Visual Science. 52, 6801-6806. Hall,L Hunt,C Young,G Wolffsohn,JS (2013) Factors affecting corneoscleral topography. Investigative Ophthalmology and Visual Science. 54, 3691-3701. Sivardeen A, Laughton D, Wolffsohn JS. (2016) Randomised crossover trial of silicone hydrogel presbyopic contact lenses. Optometry and Vision Science. In press. Wolffsohn,JS Hunt,OA Basra,AK (2009) Simplified recording of soft contact lens fit. Contact Lens and Anterior Eye. 32, 37-42. Wolffsohn,JS Drew,† Dhallu,S Sheppard,A Hofmann,GJ Prince,M (2013) Impact of soft contact lens edge design and midperipheral lens shape on the epithelium and its indentation with lens mobility. Investigative Ophthalmology and Visual Science. 54, 1690-1696. Wolffsohn JS, Hall L, Mroczkowska S, Hunt OA, Bilkhu P, Drew D, Sheppard A. (2015) The influence of end of day silicone hydrogel daily disposable contact lens fit on ocular comfort, physiology and lens wettability. Contact Lens & Anterior Eye. 38, 339-344. Following a 1st class Optometry degree from Manchester; a pre-registration year at Moorfield’s Eye Hospital, London; a PhD at Cardiff University; and a clinical/research fellowship at the University of Melbourne, Australia, Professor Wolffsohn was appointed by Aston University in 2000, where he was Head of Optometry from 2004 to 20099, being awarded a personal Chair in 2007. He is now Deputy Executive Dean for Life and Health Sciences at Aston University. James has published over 165 peer reviewed academic papers and given numerous international presentations. His main research areas are the development and evaluation of ophthalmic instrumentation, contact lenses, intraocular lenses and the tear film. He is the academic Chair of the British Contact Lens Association, having been a past president, and is Chair of the 2nd Dry Eye Workshop Diagnosis Sub-committee.